Premiering in 1964 on local CBS affiliate KNXT (now KCBS), Ralph Story's Los Angeles remains one of the most fondly remembered series in L.A. television history. Created by news director and producer Dan Gingold (of KNXT's historic The Big News broadcast) the locally-produced Ralph Story's Los Angeles offered entertaining and informative weekly coverage of the City of the Angels and its unique history, residents, and places. Foregrounding the warm, wry personality of its charismatic host, popular newsman and commentator, Ralph Story, the series introduced viewers to a diverse range of Southern California-centric topics, including the 1910 bombing of the Los Angeles Times Building, the dismantling of the Pacific Electric Red Car rapid transit system in the 1950s, and the history of the Angels Flight railway in downtown L.A. Many episodes explored the thriving ethnic neighborhoods of the city, including Boyle Heights and Chinatown, or included whimsical "man on the street" interviews conducted by the "World Famous Ralph Story Survey Team." History of Little Tokyo and Japanese life in Los Angeles. A visit to Clifton’s Cafeteria featuring an interview with Edmund Clifton, son of founder Clifford Clinton. A look at Los Angeles at night; scenes of downtown after midnight, and people who work the graveyard shift (KFWB disc jockey Bill Taylor, and Disneyland cleanup crewman Frank Mason). 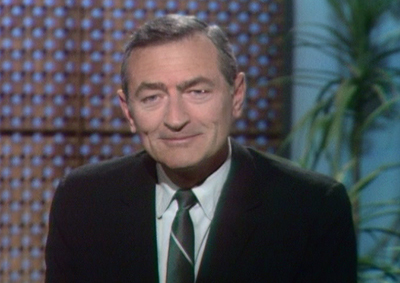 During its six years on the air, Ralph Story's Los Angeles enjoyed exceptional television ratings, often beating the high profile network programs it was scheduled against in prime time. In later years, the series' innovative format would help to inspire an entire genre of popular local travelogue TV programs in Los Angeles, including Eye on L.A. and Visiting with Huell Howser. The archival holdings of Ralph Story's Los Angeles programs are invaluable research resource for a multitude of topics related to the history of Southern California, including visual reference to buildings and landmarks in the region that simply no longer exist. UCLA Film & Television Archive is custodian to approximately 100 master videoreel holdings of Ralph Story's Los Angeles, primarily from the later years of the series. The Archive Research & Study Center (ARSC) holds over 40 episodes that are available for research viewing by appointment. To view a full list of holdings, please visit our online catalog. To arrange onsite research viewing access, please contact the Archive Research and Study Center (ARSC).